Ready for another chills-infusing dose of American patriotism? If so, who better to inject you with it than Bill O’Reilly and Martin Dugard. Who Should Read “Killing England”? And Why? If you’re interested in American history, and you know a little about it, then Killing England will certainly interest you. If, however, you are already deeply familiar with the lives of George Washington, Benjamin Franklin, Thomas Jefferson, and King George III and are not that keen on another story about the American Revolutionary War, then skip this one. Unless you want to hear the same story retold in a new manner. Bill O’Reilly is an American political commentator, television host, and journalist. In 1996, after anchoring for six years the tabloid TV program Inside Edition, Bill O’Reilly joined the Fox News Channel as the host of The O’Reilly Factor; “the biggest star in the 20 year history at Fox News,” The O’Reilly Factor was the highest-rated cable news show for over a decade and a half. Following a “New York Times” article which revealed numerous sexual harassment lawsuits against Bill O’Reilly, Fox News terminated his contract. Find out more at https://www.billoreilly.com/. Martin Dugard is an American author of narrative non-fiction. He is most famous for co-authoring – with Bill O’Reilly – all eight (so far) books in the Killing series. In addition to this, he has also written a screenplay for a movie (A Warrior’s Heart), a few sports-related books and The Last Voyage of Columbus. 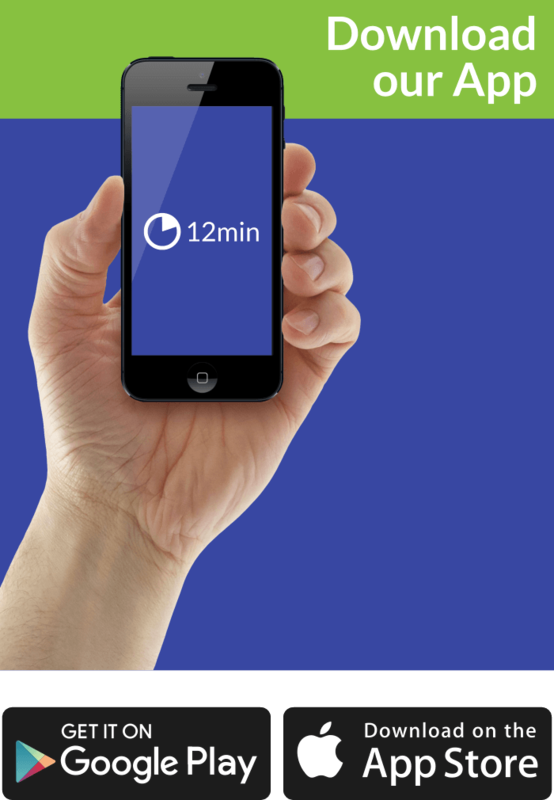 Find out more at https://www.martindugard.com/. 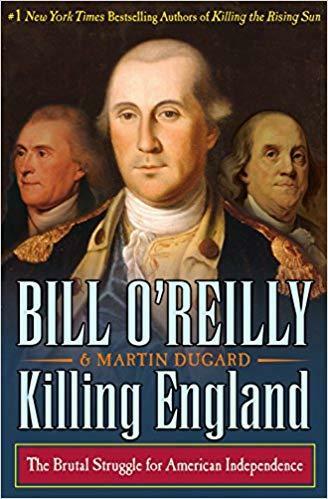 Published in 2017, Killing England is the seventh book – out of eight as of 2019 – in Bill O’Reilly and Martin Dugard’s pretty famous (but appallingly and oftentimes “misnomerly” titled) Killing series. Those who have read even one of the relevant books in this series (Killing Lincoln, Killing Kennedy, Killing Reagan, Killing Patton, and especially Killing the Rising Sun or Killing the SS), already know the drill. O’Reilly and Dugard’s starting position is usually “conservative America is the greatest country in the history of humanity,” and regardless of their focal point – Killing Jesus being the only exception – this is the point they are trying to make. However, Killing England does surprise here and there: in 35 chapters, the book retells the brutal (and all too familiar) struggle for American independence but in a sort of playful manner, through the eyes of both the leaders of the British Empire and the main figures from the American Revolution. Since this makes King George III one of the main characters of the book – and since there are at least a few chapters when events are told through his point of view – Interestingly enough, Killing England offers (sometimes, at least) a more balanced and nuanced view of the American Revolution than many other US-centered and US-glorifying books available on the market. It is both fairly difficult and fairly easy to summarize this book: the latter because you can find every single event in every single history book you’ve ever happened upon, the former because of the structure of Killing England. Namely, each of the chapters tends to focus on one figure and one day (the period is, of course, 1775-1783), both of which are revealed in the opening sentence of the said chapter. The only exception is the “Prologue” which is situated in Ohio Country and starts at 1:30 pm on July 9, 1755, the last day of the life of Capt. Daniel-Hyacinthe-Marie Liénard de Beaujeu. Because that is the day that one of the four main characters of Killing England, George Washington, then a volunteer in General Edward Braddock’s army, redeems his honor after surrendering to the French at Fort Necessity the previous year and the day he ceases being a surveyor and Virginia gentleman to become a warrior. Interestingly enough, this happens in a defeat: Braddock is soundly defeated at the Battle of the Monongahela by a force of French and Canadian troops. Captain Daniel Liénard de Beaujeu dies, but dies a victorious hero. Since it’s both impossible and impractical to tell the story of Killing England as it is told by O’Reilly and Dugard (jumping from a character to character from one to the next chapter), we’ll summarize it neatly grouping the narrative arcs via the four main characters of the book. No need to tell you that the characters in question are: George Washington, Benjamin Franklin, Thomas Jefferson, and George III. Nominated by Samuel and John Adams – to the utter joy of everyone present – Washington accepts this new title (Commander in Chief of the newly-formed Continental Army). The rest is (pretty known) history. As the very first Commanding General of the United States Army, George Washington leads the Continental Army to many victories, most notably in the first battle fought after the Declaration of Independence and the largest one of the whole war (The Battle of Long Island), and, more importantly, the morale-boosting Surrender of Yorktown which prompts the British government to negotiate an end to the conflict. Benjamin Franklin’s biography is just too colorful to be retold in a few hundred words – or even a few hundred pages, for that matter. Justly considered “The First American” in history, Franklin was a polymath who was capable of turning into gold basically everything he would touch. Known for inventing the Franklin stove, bifocals, and (most notably) the lightning rod, Franklin was everything from a leading author to a publisher, from a still-quoted physicist to one of the foremost scientists of his time, from a smart politician to a Grand Master Freemason. O’Reilly and Dugard follow Benjamin Franklin from his ambassadorship day to France through his change of mind in relation to the new country to his career as the first United States Postmaster General. However, O’Reilly and Dugard don’t shy away from portraying Ben Franklin’s dark side as well, as well as his reputation as a sort of a ladies’ men. Here’s an interesting bit (you probably already know): Benjamin Franklin’s illegitimate son William fought for England because he hated his father more; in addition, he exiled himself after learning that Benjamin Franklin planned to arrest him. Needless to add, the two never spoke again after this. Understandably and quite expectedly, Thomas Jefferson’s narrative arc mostly focuses on him writing the Declaration of Independence. • And thirdly and more importantly, in Adams’ words, Jefferson could write ten times better than him. Thomas Jefferson was a fairly rich slaveowner who most probably fathered six children with one of his slaves, a mixed-race woman named Sally Hemings, born four decades after USA’s third president. Well, it seems that George Orwell was right: some humans are created more equal than others. Killing England surprises the most in its pretty neutral representation of King George III of the United Kingdom. George was merely 22 years old when he was coronated in 1760, and ruled England during the most tumultuous times of its glory years as a colonial superpower. England was already in war with (mainly) France for global military and political primacy at the time of his coronation and, in 1763, after the Treaties of Paris and Hubertusburg, Britain’s victory in the Seven Years’ War was joyously celebrated on the American continent. Hell, we’ll go even further than that: George III was celebrated as a hero, and the future Americans reveled in the fact that they were citizens of the world’s greatest and most powerful empire. However, Britain’s victory came at a hefty price: according to George Grenville, the Chancellor of the Exchequer, Britain’s budget deficit in 1763 was in excess of £122 million. And America was just too big and attractive place to collect new taxes. Of course, the Americans (especially the three guys from the chapters above) didn’t share this opinion with King George III (they believed they were British and, thus, have the same rights as the English) and that’s how the American War for Independence broke out. Even though some historians accuse King George of fighting too long a lost war, O’Reilly and Dugard are far more sympathetic: he was just doing what his position demanded him to do. And until the Siege of Yorktown, many still believed in a British victory. However, that didn’t happen, and George accepted the defeat. Killing England includes a long postscript in which the later days of most of the characters mentioned in the book are related. An estimated 400,000 Continental soldiers and state militia fought on the American side through the course of the war. There is no exact number. It is thought that almost 7,000 American soldiers were killed in action during the war, with many more deaths coming from disease or from the harsh conditions endured as prisoners of war. Those mortality figures are roughly 17,000 and 12,000, respectively, bringing the total casualty figure to an estimated 36,000. British casualties were estimated to be 24,000 killed in battle, missing in action, and dead from disease. Of the 30,000 Hessians who fought in the war, one-fourth either were killed in action or died from illness. Some 5,500 Hessian soldiers chose to remain in America following the war. Many soldiers who fought in the Revolutionary War were given tracts of land by the new federal government, settling America and continuing the growth made possible by their service. Even though, in retrospect, one could argue that it was inevitable that it would happen sooner or later, it seems that Britain’s bad tax strategy is to blame for the American Revolutionary War. Not only most of the Americans rejoiced after Britain won the Seven Years’ War against France in 1763, but also some of the leaders of the American Revolution – such as, say, Benjamin Franklin – were firmly against independence not that long before the war broke out. In matters public and intellectual, Benjamin Franklin was the foremost American of his time; however, as far as his personal life is concerned, he was quite the Casanova with the ladies and quite the Darth Vader with his illegitimate son William. William hated him so much, in fact, that he fought against America during the War for Independence and exiled himself after Benjamin wanted to arrest him for that. Thomas Jefferson may have written the most famous line in American history – “all men are created equal” – but he didn’t practice it in his personal life. On the contrary, he was a slave owner and, moreover, he fathered six children with one of his slaves, a mixed-race woman by the name of Sally Hemings. To make matters even worse, Sally was basically a half-sister of Jefferson’s first and only wife, Martha. Even though Killing England sold the least number of copies when compared to the other books of the Killing series (65,000 in its initial week, less than half of Killing the Rising Sun and only a third of Killing Patton), it may be, in our opinion, one of the better books of the series. It is not only enthralling and enjoyable: it is also finely researched and bereaved of prejudice; recommended for history buffs.